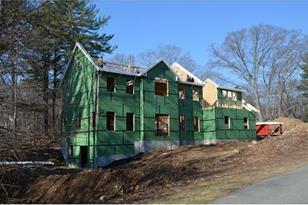 NEW CONSTRUCTION IN HAMILTON - Do not wait for this one! Now is the time to make your selections. This beautiful colonial will have a large, flat back yard and abuts a neighborhood of similar homes. At this stage, the quality of frame materials and workmanship can be seen. . There will be an open foyer with gangway above, 2 gas fireplaces, open floor plan, designer trims and 10' ceilings. The home will have high quality windows and solid, 2-panel interior doors. Lots of finish detail throughout! This is NOT your ordinary spec home!. There will be 4 bedrooms including a private master, walk-up unfinished attic, large familyroom, study, dining/living room with columns defining the space and a separate laundry room. There is a generous flooring package as well as selections for tile and cabinetry at this time. Hamilton is a sought after community with many amenities. It is within a few miles of the ocean,omes highway & MBTA. Builder is McInnis Construction. 639 Essex Street, Hamilton, MA 01982 (MLS# 71972739) is a Single Family property that was sold at $825,000 on July 11, 2016. Want to learn more about 639 Essex Street? Do you have questions about finding other Single Family real estate for sale in Hamilton? You can browse all Hamilton real estate or contact a Coldwell Banker agent to request more information.